Highlighter has been so in right now since last year. Everyone has been talking about it, trying it, loving it. And here I am with my one and only highlighter. Haha! I got this a few months back from Makeup Revolution. 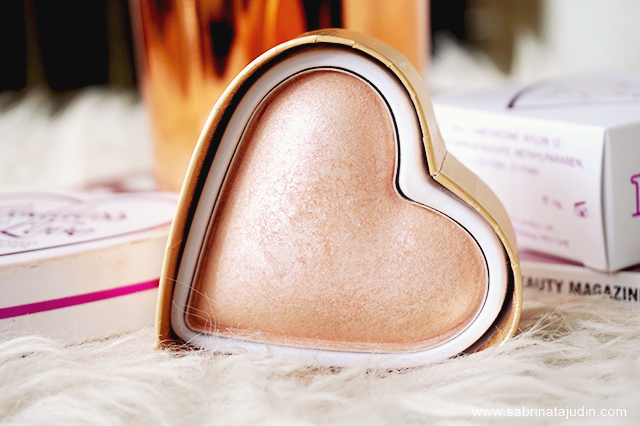 It is basically one of my first highlighter that I bought. 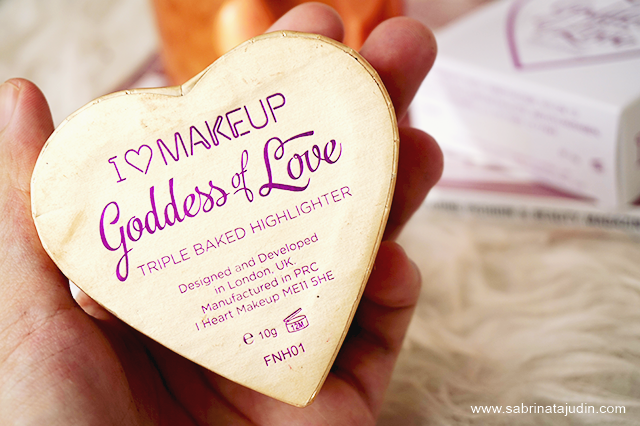 This is called the Goddess Of Love Triple Baked Highlighter. 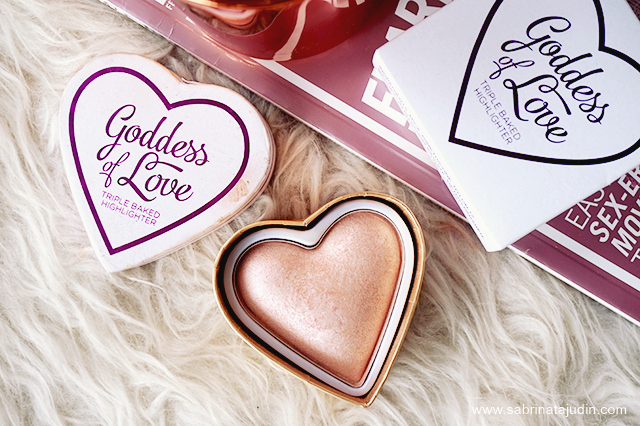 It comes in this very cute heart shaped packaging that is basically one of the reason that caught my heart. I think they have a few others shades in this highlighter range. I got this one as this was the only one they have in the Makeup Revolution Malaysia web-store that I think has close down for now. Surprisingly, I don;t wear this as much as I can remember. 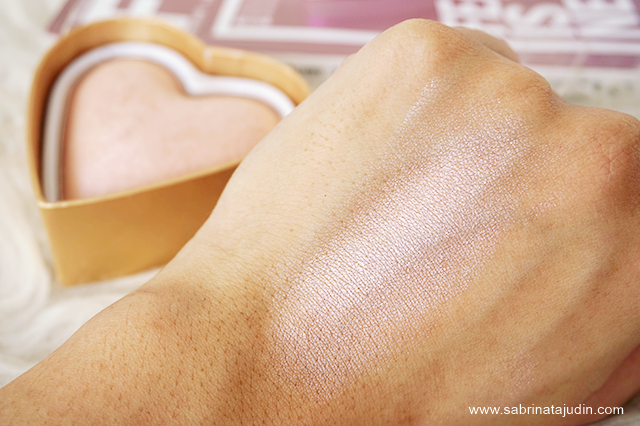 This highlighter has a opal cool tone shade, it does not compliments my olive warm skin tone that much. The pigmentation was just okay, not super intense which means great for beginners as it helps to control better. Overall this is a pretty good highlighter to start out with, not chalky and blends pretty nicely. I need to learn and use highlighter more often to get used to these kind of products. can plz tell me where i can buy it?